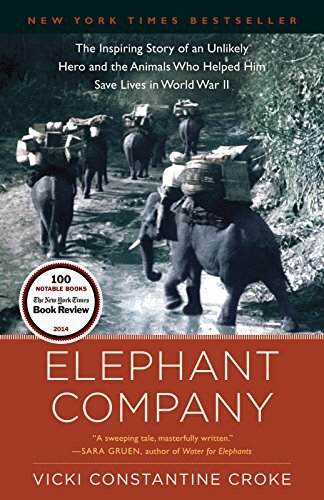 Elephant Company was one of my favorite books of 2015. It is half war book and half animal book. This is a look at a part of the world during WWII that very few people know about. We read a lot about Europe, Japan, and the Nazis, but this book takes us into the lives of those living in Burma during WWII. I have read a lot of WWII books, but none that have dealt with Burma and that part of the world. I had trouble putting this book down once I started reading it. It is an amazing story of animals and what they can do. If you love WWII books this is a must read! This books is graphic in a few parts so I would say it is for older teens and adults.